LONG ISLAND CITY, N.Y., Nov. 4, 2016 /PRNewswire-USNewswire/ -- White Coffee Corporation, the Long Island City coffee importer and roaster, is pleased to introduce its structured charitable-giving practices entitled, "White Coffee Cares." 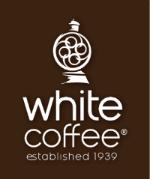 The White family and the company have been generous supporters of local and national causes over the decades of White Coffee's operations, which began in 1939. The creation of White Coffee Cares centralizes the philanthropic efforts and will be used to advance the goal of increasing collaborative initiatives with other foundations and like-minded organizations.